Are you excited about planning your next trip? Do you want to try something new while traveling? Would you like some guidance from a local? If you answered yes to any of these questions then this book is just for you. 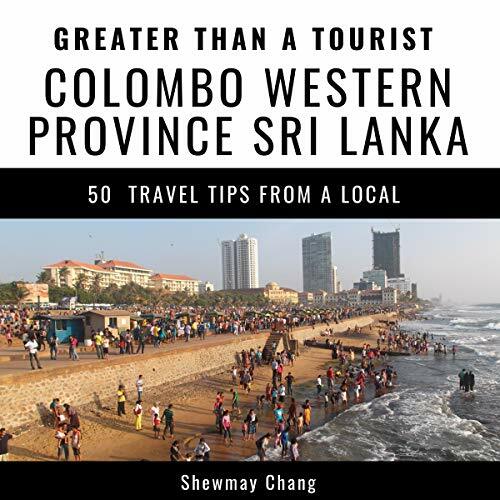 Greater Than a Tourist: Colombo, Western Province, Sri Lanka by Shewmay Chang offers the inside scoop on Colombo. Most travel books tell you how to travel like a tourist. Although there's nothing wrong with that, as a part of the Greater than a Tourist series, this book will give you tips and a bunch of ideas from someone who lives at your next travel destination. You'll discover local advice that will help you throughout your stay. Greater Than a Tourist is a series of travel books by locals. Travel like a local. Get the inside scoop. Slow down, stay in one place, take your time, get to know the people and the culture of a place. Try some things off the beaten path with guidance. Patronize local business and vendors when you travel. Be willing to try something new, and have the travel experience of a lifetime. By the time you finish this book, you will be excited to travel to your next destination. So grab your copy today. You'll be glad you did.